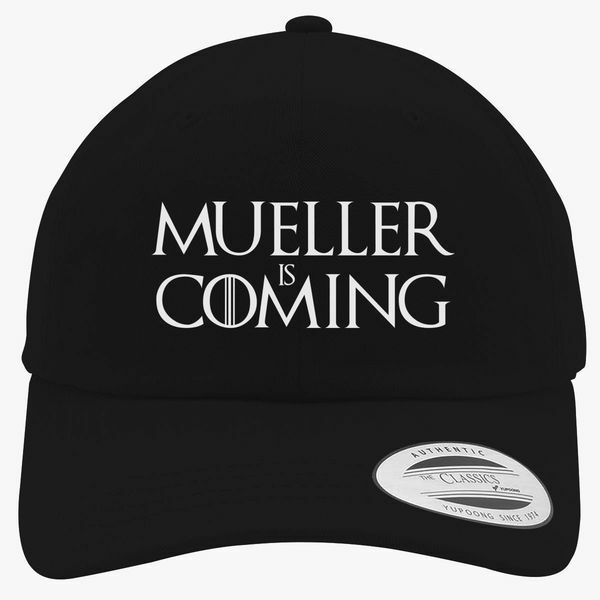 Mueller has turned in his report, recommending no further indictments. The report has yet to be released, but it will be, one way or another. Congress is gearing up for a fight, with some folks working to make sure the report is released to the public quickly, and pretty much everyone visibly gearing up to spin its findings. I also expect folks who have been chanting "lock her up" to suddenly decide that any wrongdoing which doesn't result in an indictment can't be all that big of a deal. What surprises me that Trump hasn't said anyhting about it so far. He hasn't tweeted in a day. Oh god no. Trump's dead. That's what not tweeting in a day means. Right? Right?? My big worry is that people will treat the findings about Trump's possible connection to Russian meddling-- assuming they get released and aren't heavily redacted in ways that drastically alter how said findings would otherwise be interpreted -- as the only reason to consider Trump "innocent" or "guilty" of impeachable offenses. I'm not saying he's guilty of impeachable offenses, but Russia should not be the be-all and end-all. Nixon, for example, committed multiple (potentially) impeachable offenses throughout his presidency, including illegally leaking classified tax info of a political rival and ordering a break-in at the Brookings Institution (even though there's no evidence that the break-in happened, the president ordered people to commit a felony). Oh, and he may have been actively involved in a plot to murder a journalist. If Nixon's role in covering up Watergate hadn't gotten him, I would hope one of those other offenses would have. I'm curious about how the report is worded. The Watergate road map (which may have served as the "Russiagate" report's template) was described by a Brookings Institution fellow as a "very spare recitation of facts" that "contains no judgement, no argumentation." The whole point was for Congress to connect the dots and decide whether Nixon's actions were worthy of impeachment. The DOJ's policy is not to indict sitting presidents and the Watergate special prosecutor -- at least the one Nixon didn't fire -- didn't want to pursue charges. If Meuller follows suit, it may be easy for some to claim his report is inconclusive, ignoring the fact that the whole point would probably be for Congress to draw the conclusion. I guess we'll have to wait and see... or not see. Last edited by Fun With Mr. Fudge on Sun Mar 24, 2019 1:32 am, edited 1 time in total. Crimson847 wrote: Mueller has turned in his report, recommending no further indictments. Forgive my impertinence, but doesn't this mean Donald Trump is innocent? Or was he never going to be indicted because an indictment is something else? That sounds to me like the official conclusion is, "Don't arrest Donald Trump; he has done nothing wrong", but my knowledge of the US legal system is limited almost entirely to things I've seen on TV. This is what everybody in the country is arguing about right now. It's not as simple as you suggest. Mueller's investigation has spun off something like 20 state and federal investigations into Trump and his associates, for things not directly related to the alleged contact with Russia. His business, personal, and campaign finances are all under scrutiny. So just because Mueller isn't indicting for anything within his scope doesn't mean there won't be indictments handed down by other prosecutors. Mueller has filed a number of sealed indictments. We don't know who they name, or when they will be unsealed. He may or may not be more clear about these indictments in his report, which we may or may not ever get to read. It's possible that Mueller isn't willing to indict a sitting president, regardless of what he did. "No more indictments" doesn't mean he isn't going to lay out a case that would launch impeachment proceedings in Congress. He may conclude, as James Comey did of Hillary in her email fiasco, that Trump's behavior was irresponsible and dangerous but there's no proof that he actually did anything illegal. That's not the same as saying "He's done nothing wrong", it just means he isn't going to prosecute him for it. Edit: Woops. I didn't see Absentia's post because I was taking forever to type mine. My answer to your question was basically Absentia's but with different words and a link summarizing some of the many investigations. I'll also add that there's disagreement on whether a sitting president can be formally charged with a crime or if Trump would only be in legal jeopardy when he's not president if he did in fact commit crimes. So as not to be too redundant, I will add my non-expert opinion on something that has always bothered me about this whole thing. I think that whether Trump is accused of anything or not, some of his behavior seemed completely aimed at interfering with the investigations into his or his affiliates' potential wrongdoing. Included in those behaviors are seemingly threatening Michael Cohen's family with criminal investigations, publicly entertaining the notion of pardoning Paul Manafort, firing FBI director Comey (and the fact that he named the Russia investigation as a reason to fire him), and his repeated admissions that he would not have made Jeff Sessions attorney general if he knew Sessions would have recused himself. To me those and other things sound a lot like attempted obstruction and admissions of an intention to obstruct justice. But I'm not a lawyer, and quite frankly, I have little confidence that even if he clearly did commit obstruction that he would suffer meaningful consequences. That's how lots of folks have interpreted the news, and it is pretty devastating for the MSNBC-type folks who've spent the last two years crowing that Mueller was mere days away from frog-marching the whole Trump family and half his administration out of the White House in handcuffs for treason against the United States. Pictured: the next hot item at your local Goodwill donation center. However, Department of Justice guidelines (which Mueller is subject to) dictate that a sitting president cannot be indicted for a crime; they must be removed by Congress or otherwise leave office first. Why? This gets into a somewhat arcane legal debate, but the theory is that because the DOJ's power is derived from the president's Constitutional authority, it's borrowed power that can't be used against the president. So the fact that Mueller isn't recommending an indictment of Trump doesn't necessarily tell us anything about Trump's guilt or innocence, because according to the standing guidelines Trump can't be indicted. All Mueller can do about Trump himself is report his findings to Congress and let them bicker over what to do about it. Another point worth noting is that Mueller farmed out investigations unrelated to Russian collusion to the FBI, which is why some of the "they're all getting marched out in handcuffs any minute" folks are now transferring their hopes to SDNY (Southern District of New York, the FBI office handling said investigations). Yeah the Senate is not going to vote to remove him, even if the House impeaches. They're too scared of their voters abandoning them, unless public opinion is wildly on the Remove side. There's not much that will convince a current Trump supporter, so I don't see those polls happening. I'll be sitting over here waiting for a congressperson or senator to leak it. Speaking of, my favorite thing that has come from this whole thing is this very legit leak of the report. Wow it's an absolute nothingburger just like all conspiracy theories turn out to be. I'm outsourcing this argument to Nate Silver. Windy wrote: Wow it's an absolute nothingburger just like all conspiracy theories turn out to be. More like its possible he successfully "Mafia Bossed" his way out (That is, he got underlings to do his dirty work, acted in ways that allowed plausible deniability, then just screwed off somewhere). Turns out pointing the guy who got HW out of Iran-Contra AG garners similar results. Judging by the Barr Summary, he's a useful idiot at best, and it's getting more apparent by the hour the integrity of the summary was marred.